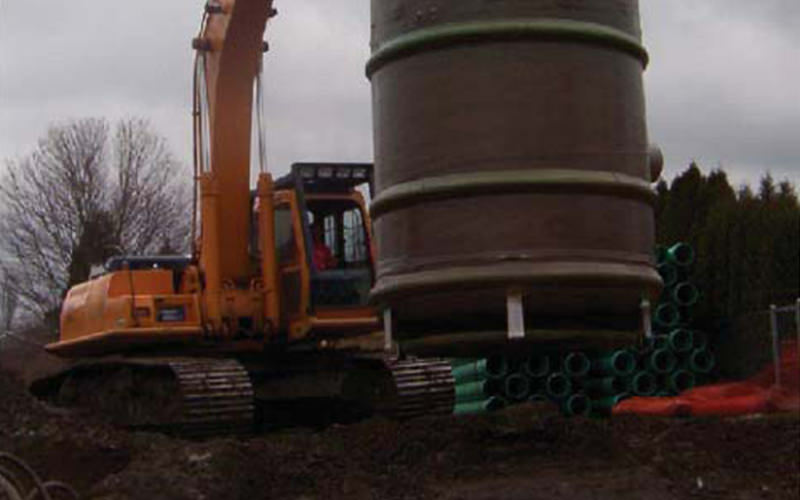 A design-build project to alleviate septic failures for 650 properties. We provided design and inspection services to the City of Chilliwack for their Sanitary Sewer Design-Build project. The purpose of the project was to provide a sanitary sewer system to service approximately 650 properties that were experiencing a rising amount of septic failures due to aging. The design team accounted for a number of constraints, including existing utilities and widely varying elevations of existing homes, while providing a cost effective final design. 9.8km of gravity sewer and services to approximately 650 properties. 2.3m Ø x 5.5m deep sanitary lift station complete with dual pumps, valve chamber and electrical kiosk. 1.4km of 200mm Ø ductile iron watermain.